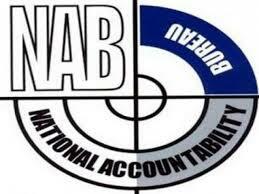 National Accountability Bureau (NAB) is the premier federal anti corruption agency in Pakistan. NAB is a brain child of General Pervez Musharraf. It was established in 1999. Its an independent institution. Head office of NAB is situated in federal capital Islamabad where as its also has 5 regional offices. 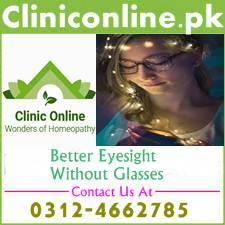 Four regional offices are located in provincial capitals and one is in Rawalpindi. National Accountability Bureau works under the mandate of National Accountability Ordinance which was promulgated in 1999. Job seekers who are interested in NAB jobs must also for FIA and provincial anti corruption departments jobs as these two are also anti corruption agencies. FIA and NAB are federal agencies while anti corruption establishment is a provincial department. We have written many detailed articles on NTS, public service commission and departmental recruitment tests. For below grade 17 posts NAB hires the services of NTS or takes departmental tests. For gazetted posts you will have to appear in FPSC exam. National Accountability Bureau or NAB Jobs will provide you job and inner satisfaction. You will enjoy lot of power and authority. After ISI and IB, NAB is the best federal department for power conscious persons. National Accountability Bureau (NAB) provides job security and handsome salary and fringe benefits to its employees. Only those person should apply for NAB jobs who love to accept challenges as here you will have to face different kinds of pressures and threats too. 1-Past papers are best source for preparation of NAB jobs. 2-You will have to improve your English writing and grammar skills as some times other than MCQ type paper another paper about English composition and grammar is also taken. You will have to write short paragraphs on given topics in this paper including grammatical questions. 3-You are required to prepare the all compulsory subjects of PMS and CSS including Mathematics, qualitative reasoning, quantitative resonating and IT as majority of MCQ type questions are asked about general knowledge, current affair, general science, Urdu, Islamic studies, IT and Mathematics. 4-Read daily newspapers and watch news channels for improving your knowledge about current affairs. 5-Start your preparation with the “Who is Who & What is What Book”. 6-Generally NTS provides the information about syllabus and pattern of its majority of tests. You must follow this syllabus and pattern first. 7- Many on line testing websites like our sister website provide the free on line testing facility to job seekers for on-line preparation. You must visit them too to evaluate the standard of your preparation. 8-Just clearing the written test is not enough for winning NAB jobs, you will also have to clear the interview or aptitude test. 9-Try to get maximum information about National Accountability Bureau, its history, working style, formation, structure and related laws. Department related questions are not only asked in written test but also in interview. 10-LLB and MSc Criminology are two best degrees foe NAB jobs seekers. 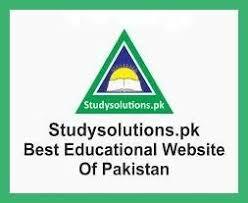 Visit studysolutions.pk, its sister website and their facebook pages for guidance about jobs in different government departments.